Tonight’s Geek Deal and pretty much for the rest of the week’s Geek Deal is the Blu-Ray+DVD combo of the classic Scorsese film, “Raging Bull”. 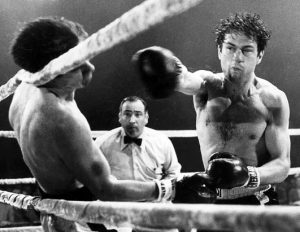 This film was nominated for eight Oscars and won two including Best Actor for Robert De Niro. The blu-ray combo is currently $12.49 for the rest of the week. That is 58% off the normal price. This entry was posted on Monday, May 16th, 2011 at 8:35 pm	and is filed under Film, News. You can follow any responses to this entry through the RSS 2.0 feed. You can skip to the end and leave a response. Pinging is currently not allowed.